After working with hundreds of female entrepreneurs, we’ve found that while passion can ignite a business, continued education on what's trending today is what yields long-term success and returns. Our online workshops teach high level operating fundamentals to grow and protect your business. 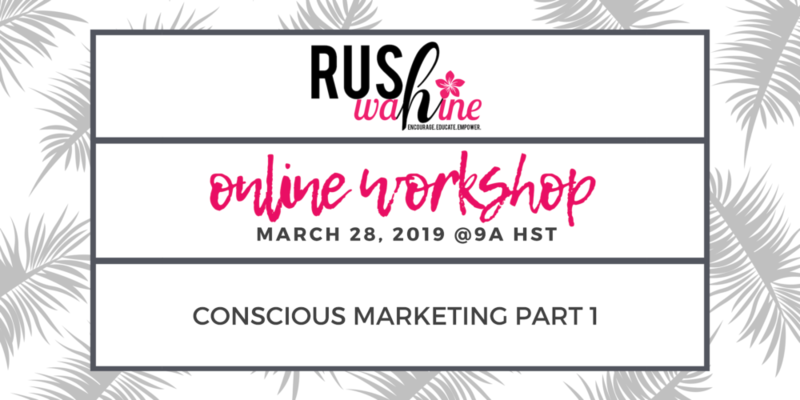 2019 focuses on Conscious Marketing which helps you develop a mindful Social Media Marketing plan that adheres to your values and missions while generating ROI.Your tone attracts your audience. What does that mean? It means that when people see your imagery and visuals that represent your brand they should be able to gain a sense of your overall vision while grasping the message at hand. Make your brand pop by creating content that's clean, concise and consistent! Members, join Founder, Terra Foti as she shares all matters of business, event highlights and membership needs. 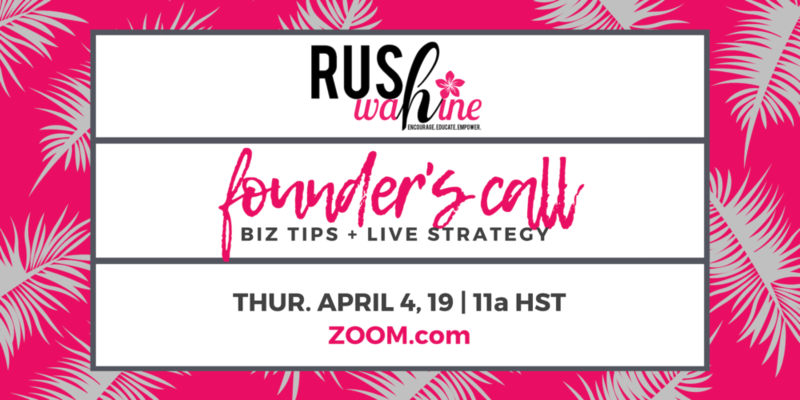 Submit questions and scenarios that you're professionally navigating to getsocial@rushwahine.com at least one week ahead. Selected topics will receive live strategy and business tips. These calls will take place Quarterly on Zoom and available to all members. Participation requires Membership, CLICK to join.